Are you waiting for a usable and interactive DAX editor? 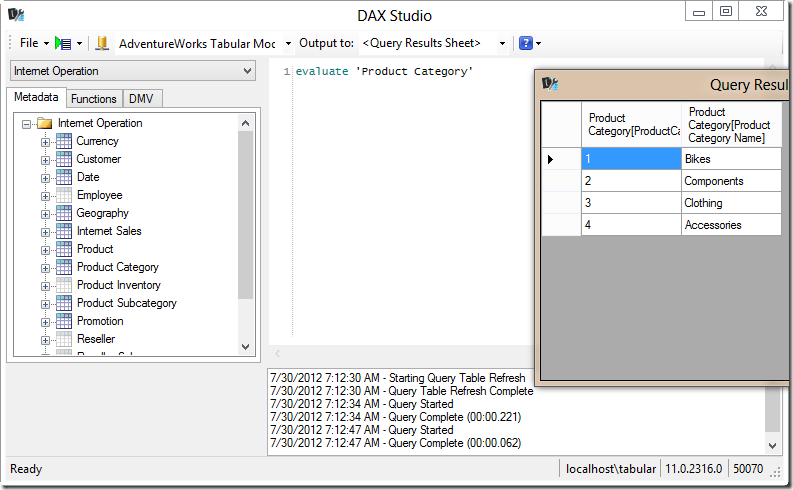 Are you tired of using the MDX editor provided by SSMS as a temporary solution to write and execute a DAX query? The wait is over! 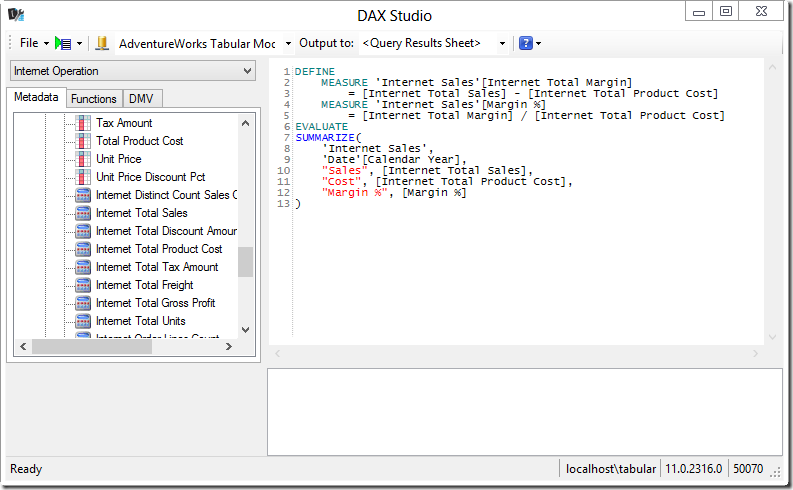 DAX Studio is a free Excel add-in that enables you to write a DAX query in a small dialog box that offer a productive environment, with a tabular object browser and syntax highlighting. You can drag and drop table and column names from the object browser to the editor, getting a proper DAX syntax for the objects (this is something that is not available in SSMS because you browse multidimensional data and the syntax used for objects is the MDX one). More interesting, you can run a query and project the result either in an Excel worksheet or in an independent table grid. You can connect to an embedded PowerPivot workbook or to an external Tabular model published on Analysis Services. 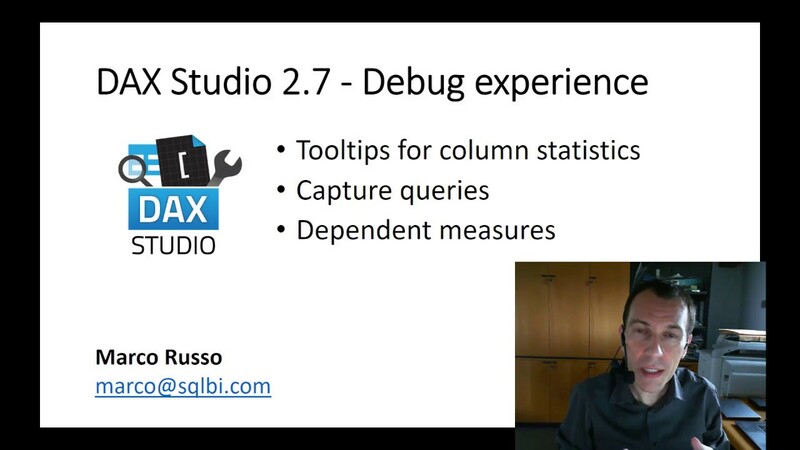 You can find a longer introduction of DAX Studio in a blog post written by Paul te Braak. 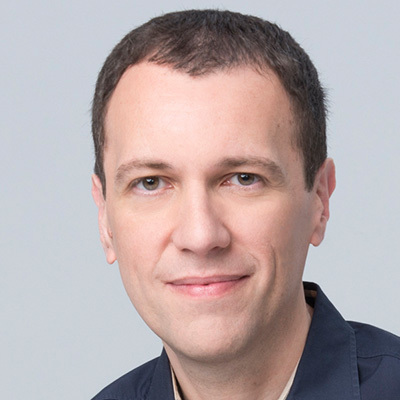 My favorite use of DAX Studio is writing and testing DAX measures. You can easily test them by using the DEFINE MEASURE syntax followed by a sample query that uses the local measure. Once you are confident that the measure works well, you can copy and paste its definition into your PowerPivot or Tabular project. This is just a version 1.0 and we look forward to enhance the features in the future. This is a CodePlex project so you can participate as a developer, as a tester or by just providing your feedback about bugs and desired features.